As a martial artist, first and foremost, I’m not interested in “Wing Chun,” “tradition,” or “style.” I’m not interested in flashy acrobatics, winning tournaments, or what looks cool. I’m only interested in what works. What keeps you alive in real life and death fight situations? What is the most effective way to defeat one or many opponents with or without weapons? How is the human body best trained to become a master of self-defense? What techniques, drills, and concepts must become second-nature to ensure proper reaction and adaptation during the chaos of real-life combat? 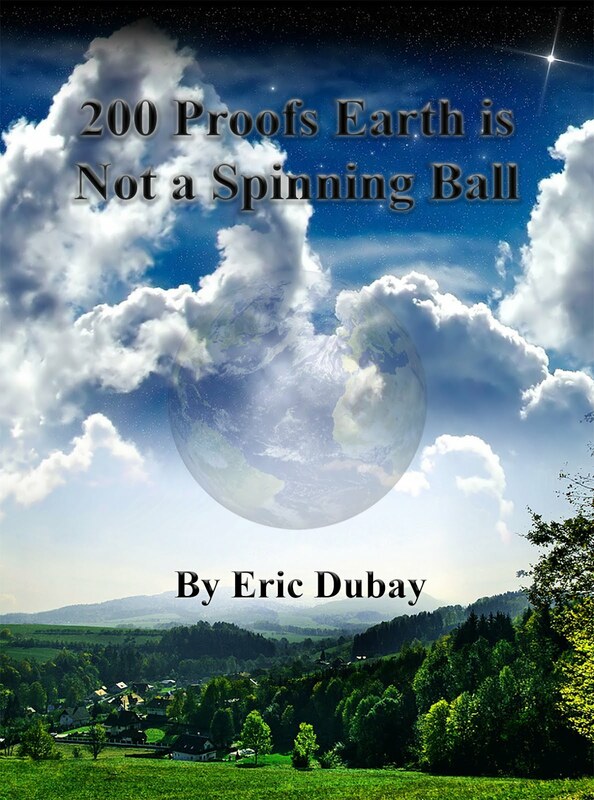 How can any system or style cover the literally infinite potential dangers faced? With so many different martial arts from all over the world, how can one separate the wheat from the chaff and discern which is the most effective? Real fighting is dirty, no holds barred, spontaneous full-force explosive aggression. In actual combat there are no rules, no regulations, no referees, no traditions, no tap-outs and no gloves. So any system which caters to and trains with rules, regulations, and traditions in mind is ultimately not preparing you for actual combat but for unrealistic sparring situations. For example the average UFC (Ultimate Fighting Championship) MMA (Mixed Martial Arts) match lasts almost 9 grueling minutes. The average street fight, however, lasts a mere 9 seconds! Why the huge difference? Is it just because they’re wearing boxing gloves? No. The fact of the matter is that tournament fighting, and martial styles which cater to tournament fighting (such as MMA, Boxing, Kickboxing, Muay Thai, Taekwondo, Karate, Jui Jitsu, Judo, Wrestling etc.) all have a huge list of highly effective techniques and vulnerable targets which are completely off-limits! The reason they are prohibited is because they are too effective, will end the fight too quickly, and could severely injure, maim or kill the opponent! In the interest of clean competitions and good sportsmanship it makes sense that certain targets and techniques be prohibited from tournament fights, but what happens when rules and traditions start to dictate your martial training? Instead of always practicing the most effective techniques on the softest targets, you actually train less effective techniques on harder targets! How can repeatedly drilling less than optimum techniques at less than optimum targets, make you an optimum fighter? As the saying goes, practice doesn’t make perfect, only perfect practice makes perfect. In Western Boxing, for instance, the extreme limitations are clear for everyone to see. You wear huge padded gloves and almost every fighting technique imaginable is prohibited except punches to the torso and head. No kicks, no knees, no elbows, no head butts, no groin strikes, no eye gouges, no grappling, no throws, just round after round of getting pounded by padded punches. Boxing is a perfect example of a fighting style with so many rules that its practical self-defense applications are very limited. It is clearly a sport, and not a science of self-defense. Boxing’s punches are undoubtedly second to none, but there is much more to effective self-defense than good punching. How does Western Boxing prepare you to defeat an opponent carrying a knife? How does Boxing deal with kicks, takedowns and grappling? How does Boxing handle multiple attackers? The answers are all the same: It doesn’t, because it’s against the rules and not part of the game. 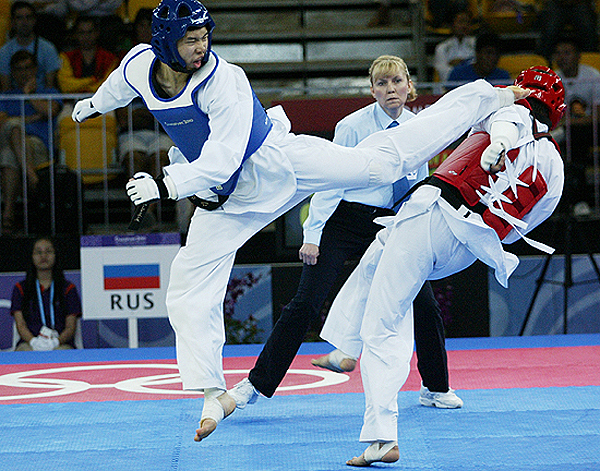 In the game/sport of Taekwondo all punches to the head, kicks to the legs, and grabbing techniques are prohibited so the result is a style full of fast-paced flashy spinning jumping head kicks. These are definitely fun to watch and work during point sparring competitions, but in real-life combat, almost the entire repertoire of Taekwondo’s techniques are pitifully ineffective and leave you off balance and vulnerable. Being a 2nd degree black belt and former Taekwondo instructor myself, I can say from experience that Taekwondo’s kicks are second to none, but there is much more to effective self-defense than good kicking. As a cocky 20 year old, I thought my sidekick alone would be fast and powerful enough to defeat my soon-to-be Wing Chun instructor in a series of full contact challenge fights. I was quite sure that he couldn’t get past my legs and he was quite sure that he could. After several philosophical discussions about fighting we decided to put his Wing Chun and my Taekwondo to the test. Time and time again he waited for me to attack, parried my kicks, then completely dominated and destroyed me with an intense flurry of chain punches, stomp kicks, knees and elbows. At best I clipped him a couple times with my kicks, but ultimately he would always take advantage of my one-legged, off-balance, side-facing positioning, maneuver behind, kick out my back leg, and take me down embarrassingly easily. Muay Thai, Kickboxing, and MMA are much more dynamic and street-effective than Boxing or Taekwondo making use of knees, elbows, leg kicks, clinches, throws, and takedowns. But once again there are no groin or throat strikes allowed, no eye gouges, no knee stomp kicks, no defense against weapons, and no defense against multiple attackers. These few limitations may seem insignificant, but keep in mind that most street fights involve either a weapon or multiple attackers, and the three most vulnerable targets on the human body are the eyes, groin and throat! This means that Muay Thai, Kickboxing, and MMA are not training or utilizing the most effective targets or techniques when it comes to real life or death combat. 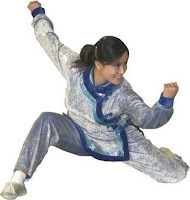 These styles also use a lot of low roundhouse kicks to the opponent’s legs with the intention of wearing them down over time, which sounds good and works wonders during tournament bouts, but the average street fight lasts only 9 seconds and involves multiple attackers, so in actual combat there’s no time to strategize several kicks for wearing down your opponent’s legs. You need more quick, direct, and devastating attacks to vulnerable targets. 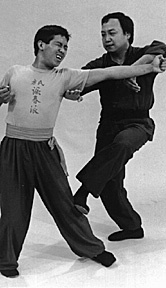 Wing Chun’s two main kicks, the inside stomp kick to the knee and front snap kick to the groin, are so brutally effective that they are banned in all sports fighting and martial arts tournaments. The inside stomp kick smashing down at 45 degrees onto the kneecap reliably and easily takes down and/or breaks the leg of even very strong opponents. And of course one good swift kick to the groin beats a whole barrage of Muay Thai leg kicks any day. So whether it’s Kickboxing, Muay Thai, Taekwondo, Karate or MMA, two of the most devastating kicks are prohibited and so rarely if ever trained. BJJ (Brazilian Jiu Jitsu), Judo, Wrestling, and other grappling styles have little or no striking whatsoever which is obviously a severe limitation. No punches, no kicks, no knees, no elbows, no eye gouges, no hair pulling and no biting, yet these styles spend almost all their training time on the ground. 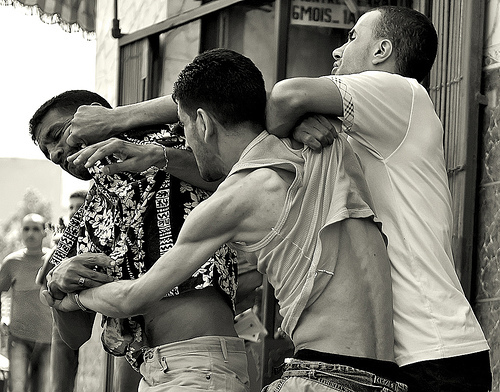 How realistic is a ground fight without any striking, eye gouges, hair pulling or biting? Even MMA, which allows ground striking, still prohibits attacks to the neck and spine, eye gouges, groin strikes, hair pulling and biting. This is the only reason UFC/MMA/BJJ fighters spend so long rolling around the mat together vying for position like a couple of entangled homosexual hyenas. If they were allowed to elbow necks, stomp spines, gouge eyes, strike groins, pull hair and bite, the entirety of their well-developed “ground games,” the entire art of BJJ would be useless. Spending minutes jockeying for a side-mount or trying to pull off an arm-bar is highly ineffective if your opponent is wildly gouging at your eyes, attacking your groin, pulling your hair and biting you! The whole idea of martial artists needing a complex “ground game” as seen in UFC/MMA/BJJ is erroneous anyway because when real fights go to the ground, there’s no springy, soft canvas cushion to roll around on. In the street it’s concrete and the odds are whoever makes the first takedown wins. These styles spend almost all their training time on the ground working on the philosophy that 95% of fights go to the ground. While it’s true that most competition MMA fights go to the ground at some point, this is not the case with street fights. A cursory glance through YouTube’s many fine street fights caught on camera show the majority of fights being won with stand-up striking techniques, not with ground grappling techniques. Besides, when facing multiple attackers, going to the ground simply isn’t a viable option because while you're busy rolling around wrestling one guy, his buddies will all be standing straight punt-kicking the snot out of you. 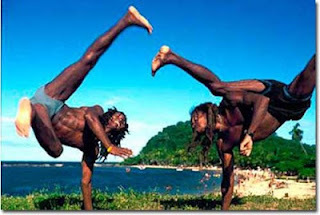 Capoeira, Drunken Boxing, Wu Shu, and other overly flowery forms of Kung Fu are beautiful to watch and wonderful for developing strength, flexibility and flow, but when it comes to real life or death combat these flashy acrobatic styles also fail in many respects. Too much emphasis is placed on dancing and feigning the opponent, often leaving the practitioner off-balance and vulnerable to attack. Most of the fancy offensive striking techniques are indirect, less powerful, and less effective than tried and true quick, direct strikes along the opponent’s centerline (as in Wing Chun). So much time is spent practicing flowery non-combative dancing or acrobatic techniques that proper application and actual fighting often takes a back seat. Karate and several traditional martial arts also have a similar problem incessantly training rigid robotic forms, stances, blocks and strikes absolutely inapplicable and unusable in the street. For example the traditional front stance low, high, inside and outside blocks of Karate are so slow, wide, rigid and telegraphed that they cannot work even against an unskilled opponent. All Karate practitioners realize this and never use the traditional blocks while sparring anyway, but still spend countless hours training these useless forms and techniques regardless. 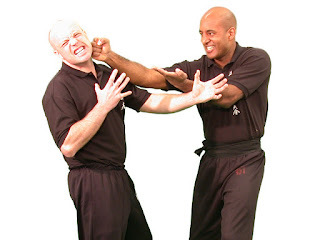 There are many martial systems which don’t fall into the “irrelevant tradition” or “sport fighting” traps and are thus much more street-ready such as Krav Maga, Silat, FMA, Aikido, Wing Chun and Jeet Kune Do. These styles tend to be much more formidable and effective due to the fact that they are always training with actual combat in mind and not slaving to sports rules or ancient irrelevant traditions. To my sensibilities however, Wing Chun stands out and maintains a distinctive edge over the rest with iron-clad concepts and unique techniques such as simultaneous attack/defense, immoveable elbows, three triangles, centerline theory, sticky hands/legs, and chain punching. Wing Chun is all about whatever works. Arm and leg breaks, throat and groin strikes, eye gouges, finger locks, hair pulling, biting and whatever else works is fair game. The movements and principles are so universally applicable to any fight situation, that empty-hand practice, weapons practice, and empty vs. weapons practice all utilize exactly the same structures and techniques. This means regardless of the fight situation, you are poised and prepared with muscle-memory to react more effectively to any empty-hand or weapon attack, because all your training is universally applicable regardless of how many attackers, how strong they are, or which weapons they have. Wing Chun has often been called “the thinking man’s martial art” and if you have made it this far through the article you can probably appreciate why. Originally however Wing Chun was not a “man’s” martial art at all, but the only fighting system in the world known to have been invented by a woman. A Shaolin nun named Ng Mui developed the art over three centuries ago by taking only the most direct and effective techniques of Shaolin Kung-Fu and creating a compact martial training system specially suited and designed to defeat bigger, stronger and faster opponents. 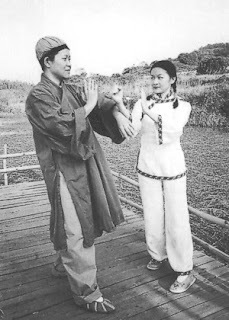 Ng Mui and her female student Yim Wing Chun used this new style against several men in challenge fights. 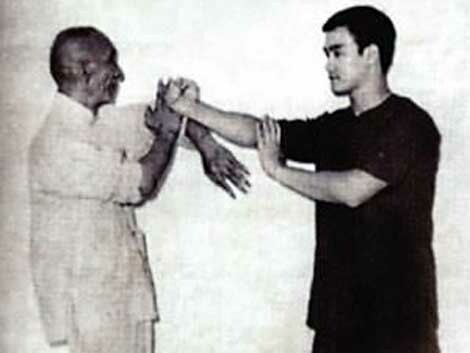 Both became legendary figures in Kung-Fu history, neither of them ever losing a fight. So how does a man benefit from training a woman’s martial art? Think about this: If you get in a fight with someone who is smaller, slower and weaker than you, then your natural advantages will almost always defeat such an opponent without any training necessary. Therefore, if you are going to learn a self-defense style, shouldn't it specifically train you to defeat opponent(s) who are bigger, stronger, and faster than you? Since women on average tend to be smaller, slower and weaker, Wing Chun seeks to compensate for these natural disadvantages by relying on body mechanics and touch sensitivity instead of speed and brute force to overcome an opponent. Having trained this fighting system daily for 10 years now, I can personally attest to its efficacy and intricacies. It is ostensibly a simple martial art with a swift learning curve, but contains incredible depth and complexity enough to spend a lifetime perfecting, always potential for refining and developing to new levels of proficiency. I have researched and trained various martial arts for most of my life, all with their unique pros and cons, advantages and disadvantages, and I respect the traditions and practitioners of all martial disciplines, but for me Wing Chun, based on its intelligent scientific principles and sheer brutal effectiveness stands head and shoulders above the rest. 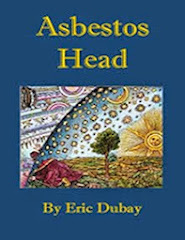 Thanks for writing this Eric. proper school in my area? Great write up but I have to disagree. MMA/UFC fighters are not robots. They are not going to spin around lost and blind because there is no ring, gloves or ref. "Psst.. MMA guy this is a real fight, no rules, no gloves, you CAN pull his hair, gouge his eyes, kick in the groin, bite, claw, etc because he's going to do the same to you". Out of the gym and ring you really don't think these guys/gals can think? Lots of them also come from the streets and know what's real and what's sport. Thanks for the comments Vic and Anon. Since Wing Chun relies on touch sensitivity and body mechanics it really is impossible to learn via video. In fact, I'm of the opinion that it's nearly impossible to learn adequately in a class setting as well. Originally Wing Chun was only taught privately from teacher to student and that's how I train as well because becoming proficient in Wing Chun requires many hours of chi sao/sparring and if you're constantly fighting lesser opponents it's impossible to develop past a certain level. 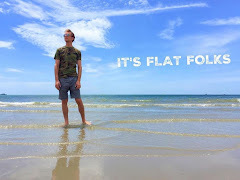 Having said that, there are several great instructional YouTube videos out there to whet your whistle and start getting you familiar with the concepts. Thanks for writing good albeit a bit "hot-tempered" article. 1. It is not the style which wins or looses. It is a specific individual in specific circumstances surrounding him/her. 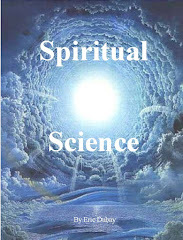 As Chinese saying says that the spirit is more important, not a martial art technique. Properly motivated man can crush/kill (has a good chance of) another human being without any knowledge of martial arts. On the other hand person with ONE perfect technique can utilize it far more effectively than one might think. 2. One of the great things about Wing Chun is that it brings you health and longevity, which may not be the case with such styles as Thai boxing. 3. As any other style Wing Chun may not suit people depending on their body structure, health condition etc. Neither one of us has ideal bodies..Hence different martial arts for different people. Good luck and fruitful practice. Thanks Llya, you're certainly right that different martial arts are more/less suited for different people and when it comes down to it sheer will power and fighting spirit is often more important than technical ability. Peace! punches and kicks, both solo and with a partner. Wing Chun is one of the worst final systems out there. How do you spar with no rules, without picking up a serious injury? You would get taken down and submitted by a competent wrestler. Try escaping from side control from someone who has good BJJ. Or why don't you go along to one of the local Muay Thai schools and have spar someone and see how long you last. Wing Chun does not work, chain punching is predictable and weak. And who needs to learn how to eye gouge or grab someone's balls its quite easy. You are also paranoid conspiracy theorist, this may also contribute to the fact you do not know how to fight and not very bright. I have several students cross training and/or with a Muay Thai/BJJ/Wrestling background and I have no trouble dealing with them. I can hold my own against Muay Thai just fine and I've yet to be submitted by BJJ. 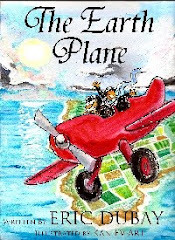 I'm a conspiracy researcher/writer but I'm not paranoid. Someone who feels the need to posture and ego-dump in my comments section is likely more paranoid than I.
I trained karate and tae kwon do. maybe it's because i've never gone to a school that trains for competition but my tae kwon do instructor laid it out flat that you do not kick above the waist in a street fight. We had a heel stomp for the knee and a ball of the foot kick for under the knee cap and shin kick for the side of the knee. We also had a toe snap for the groin. General premise break the knee or kick the nuts, trip and kick about the head and neck until done moving. Because it started as a war aid expected you to already have a sword or spear I feel tae kwon do lacks much hand skill. Still we practiced weapons evasion and disarming daily. With Okinawan karate i fail to see it as distinctly different from ving tsun except that it starts from a longer range but crossing the range using forward motion, root and center line to keep your opponents weapons out or effective combat is all very similar. after training ving tsun I have found my personal karate to be maybe over focused on power, like trying to use a Ferrari as a ralley car. After all that i have found ving tsun to be incredibly effective and the most useful of all my martial training! I have nothing like your training and experience, but I think your claim that these other arts lack effective street technique or that someone learning them won't be practicing them daily is ill conceived and misleading. I think your claim that these other arts lack effective street technique or that someone learning them won't be practicing them daily is ill conceived and misleading. PS to "I trained karate..." thanks for openly and calmly responding to comments, even ones that disagree with you! Supposedly my karate school traces it roots all the way to the guy who brought kung fu to Okinawa and adapted it for fighting samurai. I don't know it could all be myth or bs, it was training with a security job I did for four years. My boss was a sensei. many techniques were similar. the general understanding of space, footwork, and how to attack you enemy's structure are along the same concepts. The thing that makes Ving Tsun a better combat for me is the amount of time I actually spend training sensitivity, reflex, and technique with someone who is really better than me. Also even though I am still a year or more from free sparring in our system of Ving Tsun, failure equals hit! I'm 6'1" 240lbs and fairly fit, I can't tell you how much I enjoy being pushed around and beat on by a girl half my size. That never happened to me before. It really does work!!! Why Kano invented Judo....which has also been ruined by rules and false guardrails. 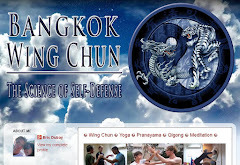 I enjoyed your excellent article about Wing Chun. Wish that moron of joe rogan would read this article instead of insulting Wing Chun & other traditional Martial Arts. Wing Chun truly is an awesome art of self defense and survival. How good were the wing chun guys who entered the early UFC events? Because the earlier ones allowed groin strikes & throat strikes I believe, definitely allowed groin strikes & grabs. The reason muay thai & BJJ became the go to systems for mma was because they did so well in the earlier style vs style events. Personally I think going to the ground in a streetfight is not a good idea so BJJ losing effectiveness to a certain degree for the street, but it would help you regain your feet if taken down. Judo or wrestling may be better as they would help you prevent the takedown better. Saying boxing is one of the worst for the street is wrong in my opinion, I trained Krav maga for 4 years, One of the few street fights I ever got in involved a boxer, he knocked me out with one punch. Boxing has the potential to make you better with your hands than nearly any other martial art. Lastly Pankration, martial art of the ancient greeks (who were constantly at war), was wrestling, submission fighting & boxing with a few low kicks thrown in. If it hadn't been effective they would not of used it. As somebody who lives in foshan guangzhou and has moved within WC circles I feel I should address a few points. There is a common claim that WC will be more effective in the street as other arts operate within a rule set. Firstly can you walk into a WC class and start thrusting your crotch towards people as a defensive move? Can you bring a shot gun and shoot your chi sao partner in the face? If the answer to these are no then you can clearly see WC has a rule set. Secondly if Usain Bolt beat you every time you race him at the 100 meters timed event would you expect to run much faster than him in street clothes on pavement? Would you expect to beat somebody who wins every time you swim a timed lap to lose when you swim across a river as one is a spot and the other is not? How is somebody who can kick and punch much harder and hit targets on a regular basis all of a sudden unable to change targets when it becomes a street fight? The killer blow to the sport vs street comes from Bas Rutten. He makes it very clear, if you cannot fight under the small pressure of inside the ring, you will certainly not be able to perform under the much higher pressure of life and death. I almost spit my coffee over my screen when I read the word 'aikido'. Aikido is truly at the bottom of the list in terms of effectiveness. Thanks Anon, when trained to a high level Aikido is a formidable system of soft-style self-defense, but until developed to a master level, you're right, it's basically useless. Most strikers (and good grapplers) make short work of Aikido noobs. Personally as a wing chun practitioner for 3 years and a karateka for 1 year I do not think there is a better style. All martial arts have been developed for combat and would not have survived if it had been ineffective due to challenges from other schools, styles and individuals. It comes down to the quality of the students, teachers, training methods, diets, the body type of the practitioner and the amount of time spent training. A boxer will beat an mma fighter at boxing, a taekwondo fighter will beat a mma figther at kicking, a judokan will beat an mma fighter at grappling and a jujitsu practitioner will beat an mma fighter at groundwork. this is because they have spent more time on that particular aspect. secondly some martial arts suit different body types e.g. a taekowndo fighter who is tall and skinny will not struggle as much as one who is chubby, muscley and short. the latter would better suit jujitsu or judo. third a person should not need to learn multiple disciplines to become a good figheter, he can use one style and adapt it so it has answers to the techniques of other styles. e.g. bjj has been developed by the gracies to the extent that it can take on almost any type of martial art by having defenses and counters to other styles. last of all mma and ufc are not the be all and end all of martial arts, it has indeed proved its effective no doubt but it is impossible to discover the perfect martial art as the various factors i have stated above affect the outcome of a fight. The questions is which martial art is the perfect one ?for you? 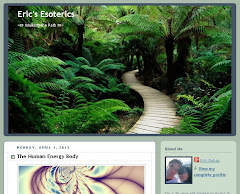 Awesome comment J Lo, thanks for sharing, totally agree on all points! I need some info..i started training at Gary Lam'a Wing chun school in Alhambra for about month now and so far they've only have me practicing the first form..and master Lam doesent really pay much attention to me..when i walk in he just saids hi and plays with his cell phone.,so i just wonder in to a corner of the school practicing my form..students tell me its boring in the beginning but later it will pay off and i'll start learing the good stuff? Hmmm? Am i wasting my time or should i stick with it? I mean they even haven't should me a punch or a single self defense technique.. Enjoyed your article. I can tell from your commentary that you have given this subject a lot of thought. Like you I came from a Tae Kwon Do background (Chung Moo Kwan) before gradually moving over to Muay Thai/western boxing. I agree with you that MT and western boxing could absolutely use some of the 'dirty strikes' that are hallmarks of Wing Chun. Conversely, I think that Wing Chun could also use some of the physical conditioning (core conditioning, aerobic conditioning, etc) inherent in MT/western boxing. Also Wing Chun might want to take a look at some clinch fighting concepts and basic head coverage from MT/western boxing. I think a lot of folks have discounted the effectiveness of traditional arts like Wing Chun because of MMA events like UFC. I look forward to your response; I will also check out the rest of your site as well. Thanks for the messages Matthew and Anon! Anon I think you're absolutely right that MT/Boxing could use with more dirty strikes and sound fighting concepts as found in WC, and you're also right that many WC schools leave out the very necessary element of physical conditioning which MT is well-known for. As for clinch fighting, freestyle Chi Sao practice if done correctly is far more advanced and effective than the MT clinch, but I'm all for cross-training in all arts and keeping whatever works for you personally. Peace! I have trained in Taekwondo for 9 years and I'm a Blue belt. I always wanted to learn martial arts. 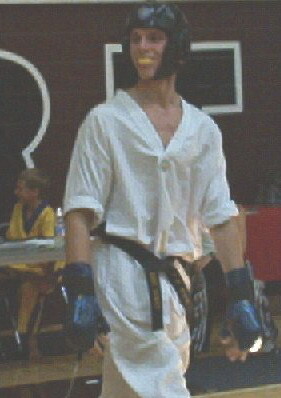 But since Taekwondo was the only one available at my school I picked that cause I had to start some where. Now I'm going to University of Birmingham, UK and they have both Wing Chun and Ninjutsu. Since I completely agree with your philosophy so, I want your opinion regarding the options available to me at my Uni. Now before anyone says anything about ninjutsu. Let me tell u I have done loads of research from past 2 weeks. So I know it's not about being a ninja n all, rather "ninjutsu" is more of a marketing terminology. Its Bujutsu and other branches to be precise. Now, since "ninjutsu" has one core idea i.e. survival. So do u think it fits in the situation of a real life fight where there are no rules? I don't know much but as far as I have seen they have kicks, lock, blocks, throws, I mean they have everything and everything is allowed. Ninjas use to learn everything and adapt their style to survive in different situation. I already know Wing Chun is awesome. I know it depends a lot on my teacher and all, but keeping all that aside I want to know what do u think of "ninjutsu" as an art in particular. Thx Eric :) your advice was helpful and I will surely do some more research about the teacher and school and then make my decision. Very interesting article and definitely true.I've been practicing wing chun for 2 years now, along with BJJ and kickboxing.I'm training real hard to get a good grasp and when I feel ready, enter an MMA competition. I definitely realise the importance of wing chun, especially for my defence. Hope to get to train with you someday, if you feel confident enough hahaha. Hi I think you've found your path in Martial Arts and it works for you as an individual. I've been practicing Martial Arts including JKD concepts for many years and students are encouraged to find their own path. In the beginning concepts are learned from many different instructors in many types of Martial Arts for the purpose of the streets including Wing Chun, Silat, FMA, thai / western boxing, Savate, Sambo, Krav Maga, etc. Eventually each individual can choose to specialize in specific areas including Wing Chun or stay well rounded but each person becomes very different. I've seen some JKD students specialize in one MA including just WC, and they are great. As the saying goes use what works and take it from any where. I think what you've done is that, having practiced other martial arts before and choosing to specialize in WC. I just want to say to keep in mind that won't be the case for other people. Wing Chun is a great option for many people but not for everybody. For me I've found that no one martial art has all the answers even for the 9 second street situation. And no matter what you practice it just takes one mistake to make a difference. Thanks Eric, and while training in Wing Chun, every once in a while I recommend going else where and doing at least short seminars in other MAs and 'light' sparring with (protective gear) with other MA students / instructors (different energy). Even with untrained people, clumsy people, is good once in a while cause it's different then the people you always train with. Plus I find after a while you don't even know / feel you're getting better but it becomes obvious with untrained people. Careful though, most injuries come from beginners as they have less control but we've all started there. One other thing I want to point out. Although it's true that many thai/western boxers think Wing Chun is weak which we know is incorrect, some Wing Chun students also think Thai/Western boxers is all about brute force and skills which can not be taken to old age. I've found that both sides are correct and incorrect in some ways. As you know what works in WC can't be seen, it has to be felt, your opponent will feel it for sure, and it's about tendons, relax movements, and internal training. With Thai and western boxing, it's very technical, precise efficient movements practiced in to your muscle memory which often do continue in to old age. I can't honestly say which is better it really depends on the person's personality, body type, conditions, etc. Also train for other situations like home invasion (hands tied behind back), on stairways, under low ceilings like crawl spaces, sitting at restaurant booth, etc. Many people use their arms and legs so often they don't train how to use their shoulders, body, head, and movements enough. Anyways enough said I should write a book haha. Later. I've been training Modern Arnis for almost a year.We have covered a lot of material (3 levels) and are now going back to drill and become experts at the material. In the same building is a Wing Chung school.I know the instructors and got an introduction to the system.The empty hands were fast.Strike and block at the same time. No block check counter.No two step footwork. The foot stomp kick was flat out scary. I was told that they train 8 drills for about 2 years and get very precise, and precision is imperative. The Wing Chung school doesn't seem to have a lot of students,but the students I see are serious and train like hell.I'm going to continue my FMA because I need the weapons training but I would love to pick up WC In the future. Hey Tatang, absolutely, FMA have the best weapons training hands-down, so I would keep that up, but certainly if you get the chance Wing Chun will complement your Arnis training for sure. Peace! Why on earth are you comparing Wing Chun (in the frame of non-sports and self-defence, IE, do anything to "win") to MA based sports (with rules/limitations, IE.. sport..)? Very silly. If you take all those other MA's out of the context of sport and into the context of self-defence or battle, they are just as lethal as WC, as their are no rules. As another poster already pointed out, Bas Rutten gives a clear answer to this non question, most traditional martial arts have very little application to real world situations. As a practical method of fighting or even self defence, most martial arts are not so useful. Mainly because most of them don't replicate the experience of being in a fight well enough, the concept of being under pressure PLUS the ability to know what it feels like to be hit with full force PLUS the stamina to be able to fight well when things aren't going your way. Boxing for example is extremely useful for these reasons and many others. It's silly to say, this one style is the best style of all, and I truly believe every martial art has value, however some styles have more value than others. Any martial art is better than knowing nothing, but some have more practical value than others. Other have value for non fighting reasons, like self discipline, learning breathing techniques and learning about your Qi. These are all valid reasons to spend time studying them, just doesn't mean they'll be useful for actual fighting. MMA fighters are tough as hell. Obviously it depends on the individual, their level of skill, stamina, heart etc. But the argument that because they are limited by rules they wouldn't be effective in real life is inherently ridiculous. All it means is they have tremendous advantages over those guys who don't compete professionally under pressure, and when the rules are lifted they'll be able to do everything they usually do(which is effective enough already), AND everything else like eye gouging, kicking in the balls and whatever. It's not a credible point of view you promoted, and the only reason I feel compelled to comment is because when you post with authority like this, some gullible idiots are going to believe you. Then they're either going to waste their time training under some erroneous beliefs, which may get them in trouble or even killed at some point. You try eye poking from the wrong range with the wrong guy and you'll get your fingers broken, that's why almost all practical fighting styles tell people to keep their hands in a fist not open. Try poking someone in the eye when they are in a dominant position over you, and if it fails(highly likely) and they'll hurt you even worse..
People who learn idiotic knife disarm techniques under (for example) karate rules and then go into a real life situation thinking they can use it will most likely get severely injured killed! The most useful knife fighting martial art is Kali(sometimes called Escrima or Arnis). It's what the Filipino special forces use and what most elite special forces soldiers learn. Why? Because it's the most effective and practical. Battle proven, not internet theory. Folks: never listen to ANYONE who tells you their style is the best. Always do your own research and in my opinion the people whose views on this topic have the most value are actual professional fighters or soldiers. Why? Because they know what works under pressure and they rely on using what works. If something doesn't work under pressure, eg eye attacks and pressure point attacks, they don't waste their energy trying to use it. Thanks for this nice post. Yes, martial art is not only for self defense, it also makes you self confidence makes you body fit and flexible body. So I think from childhood every child should be trained on self defense. So we organized self defense program for Kids Brazilian Jiu-jitsu in Connecticut ,you can get 30 days free class here.